It was just over a week ago that I started seeing tweets and mentions on blog posts of an upcoming DXpedition to Socotra Island, Yemen. My interest was piqued because I’d noticed Yemen when looking at the DXCC Most Wanted List at ClubLog. I checked the list and noticed that Yemen is shown at number six on the list. I did some more research and it seems that the last activation of Yemen was back in 2002 and the last time Socotra was activated was by John, G3UCQ in 1964/65. You can read about his activation by clicking here. It seems this trip was kept very quiet because news of it only appeared a day or so before they went live. This was becoming addictive, later the same day I managed a QSO on 12m CW then 17m SSB and 20m SSB! The next day I worked them on 12m SSB and then 10m SSB. Finally I finished up working them on 17m CW and that makes a total of nine slots, five on SSB and four on CW. The online log courtesy of ClubLog shows all those QSOs confirmed. Those who know me will be well aware that I’m not particularly good at CW. I can just about manage a contest QSO so it’ll be quite a surprise to see that I’ve had four Morse contacts with 7O6T. Here’s how I did it. This is my QSO on 17m. I largely treat CW as a data mode, especially at those speeds. 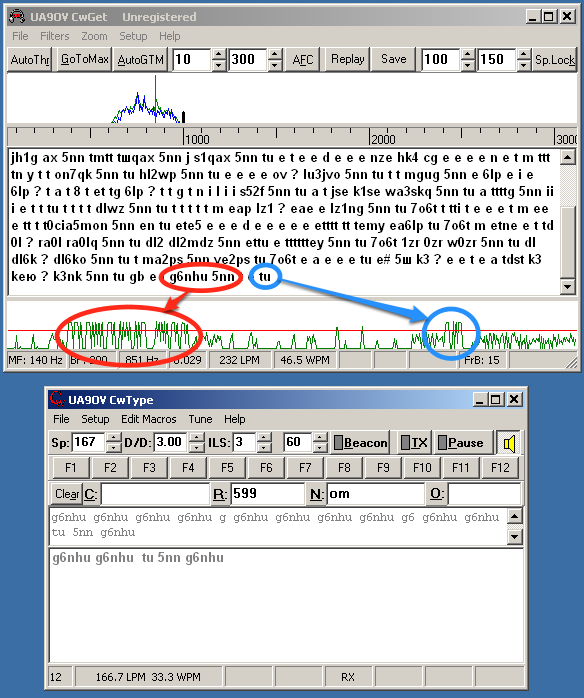 The operators on Socotra are regularly transmitting at over 40 wpm and without computer assistance, I’d have absolutely no chance of working them. I use CwGet and CwType from DX soft. What I’ve written above makes it sound easy but it really wasn’t. Each QSO took significant time and lots of calling running a beam and 400 watts. Things may get less difficult now that we’re into the second (final) week of operations but I’m sure it will never be easy to work 7O6T. I’m not planing on trying any more QSOs with the operators on Socotra Island, I’ve got my fill and don’t want to take up any of the time they could be using to work other stations, I’m very happy with what I’ve got. 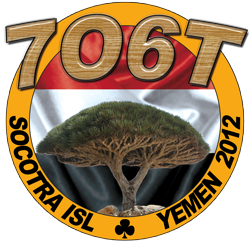 To find out more about Socotra Island and the 7O6T DXpedition, click the logo below. I wasn’t planning on trying for any more slots but the uneven chart of worked bands and modes was offending me so I had a bash and managed to work the extra one on 10m CW to give me a total of ten confirmed slots. This entry was posted in Amateur radio, CW, HF, New DXCC, SSB and tagged 7O6T, dxpedition. Bookmark the permalink.